Several days ago I developed a craving for blueberry cake. (This is Maine, after all!) The blueberry season may be over, but the magic of freezing keeps wild blueberries available twelve months of the year, and almost every day I have them in my oatmeal … so finding them in my kitchen wasn’t a problem. I stood in our kitchen — the kitchen where my mother had cooked, and my grandmother, before her — and suddenly memories filled my head. Blueberry memories. My grandmother, especially, had loved them, and during blueberry season had made not only blueberry pies and muffins and pancakes and blueberry grunt, but the blueberry cake I was remembering, and had put up blueberry sauces and jellies for the winter. So I knew that, excellent cook though she was, her cookbook was the source of most of her recipes. 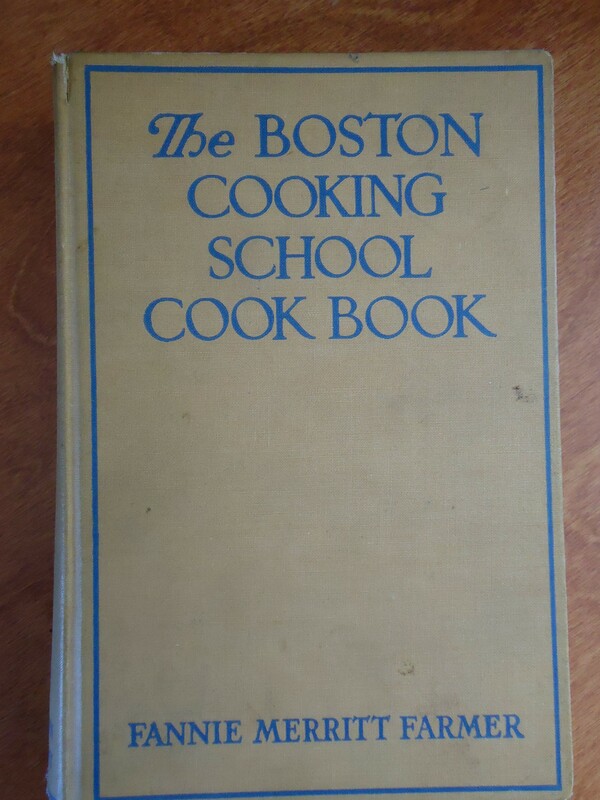 I don’t have her copy of Fannie Farmer’s The Boston Cooking School Cook Book (one of my sisters has that,) but I have my mother’s copy. Fanny Farmer didn’t disappoint. I found my grandmother’s favorite recipe for blueberry cake, and for the lemon sauce she always poured over it. I stood in the same kitchen where she’d made it so many times for me when I was a child, and I followed the instructions. My husband and I enjoyed every bite. And now, with memories of my grandmother, here’s the recipe she followed, with a couple of minor changes for the times. Blueberry Cake: Preheat oven to 375 degrees. butter two 8-inch cake pans. Mix 1 cup blueberries with 1/4 cup of flour. Work 1/3 cup of butter until soft and creamy; add 1 cup sugar and beat until light. Add two eggs, beaten, 1 1/2 cups flour, 1/2 teaspoon salt; 1/2 teaspoon vanilla; and 2 teaspoons baking powder. Mix thoroughly. Add in blueberries, stir, and pour into cake pans. Bake 20-25 minutes. Lemon Sauce: Mix together 1 cup sugar and 2 tablespoons cornstarch. Add 2 cups boiling water, and stir over heat, boiling for 5 minutes. Take off stove. Add 4 tablespoons butter, 4 tablespoons lemon juice, a sprinkle of nutmeg and a pinch of salt. Simple, delicious, and a taste of the past for today. Enjoy, with my grandmother’s complements! 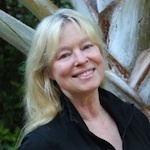 Lea Wait is the author of the Mainely Needlepoint mysteries, the most recent of which, Threads of Evidence, was just published. 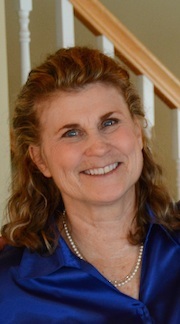 She also writes the Shadows Antique Print mystery series, historical novels set in 19th century Maine for ages 8 and up, and a collection of essays, Living and Writing on the Coast of Maine. 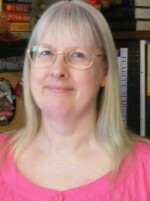 See her website for more about Lea and her books, and for links to prequels of her books. Gorgeous account, and I love how you add in the recipes. 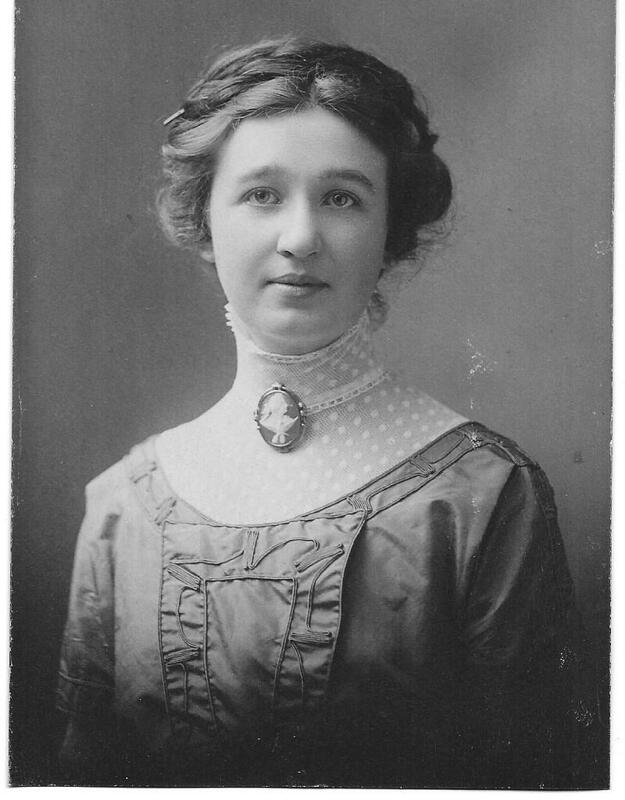 I have a cookbook of my grandmother’s from 1895 that I would love to reprint. I’ll try to post some pages on my blog. Great idea! I love tastes from the past! Fannie never disappoints and every time I found a copy in donations at the library, I knew that some lucky soul was about to have the best surprise ever. Great post. My first paying job was as a blueberry raker in the field at the head of Sennebec Lake. I still remember the backache that took almost a week to dissipate, but earning money at age eleven was pretty awesome. Old Fanny Farmer and Joy of Cooking are staples here too. We eat blueberries daily, but alas, not wild ones. Great post today! My mother(and now I) had the Boston Cooking School cookbook. She was from Adams, Mass and missed it in the wilds of Ohio! Love the New England things like baked beans! Baked beans and blueberries! Tastes of New England! (Alas .. I have yet to truly “bake’ beans. But that adventure is on my bucket list!) Love going to church suppers in Maine where you have a choice of six kinds of (home baked) beans … and pies of all sorts — including, of course, blueberry! I enjoyed this post and that recipe sounds wonderful. I must try it. Your grandmother was so pretty.